Really Cool Dude: How Cool is My Son? How Cool is My Son? 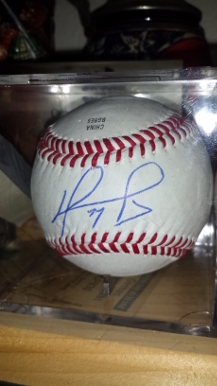 Christmas 2013 —- Big Papi genuine signed baseball with certificate of authenticity!!! Man, I can hardly wait to play catch with it.